VINIQ liquer gets its shimmery shake on in this bespoke cocktail created to celebrate the launch of the liqueur. Viniq Liqueur launched in Australia this week. The liqueur, which is a fusion of premium vodka, Moscato and natural fruit flavour gets its shimmery shake on with a pearlescent sheen when it's shaken all about. 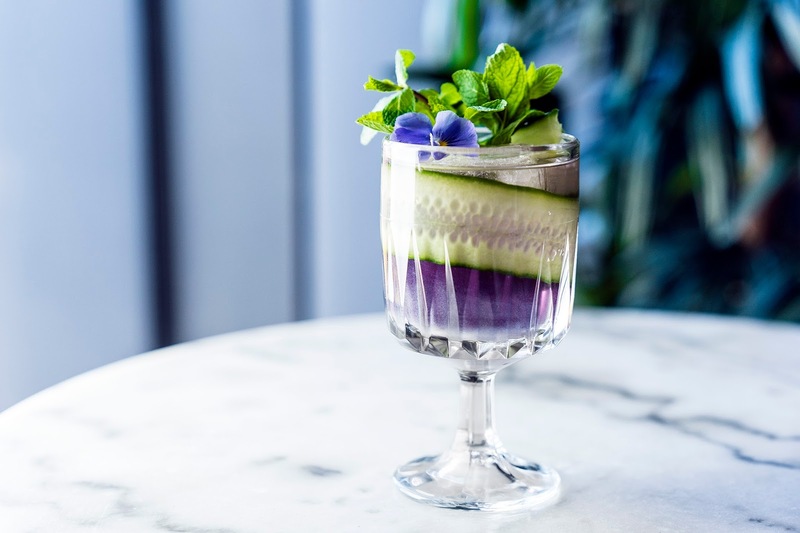 To celebrate the launch of the liqueur in Australia, follow the recipe for this bespoke cocktail created by VINIQ ambassador and Australian bartender of the year Kurtis Bosley. Add all liquid ingredients and 2 mint leaves into shaker, add ice, shake hard for 10 seconds, double strain into a vintage coupe, add ice, garnish with a cucumber strip and mint.